mean we can work with you to bring your dreams to life. 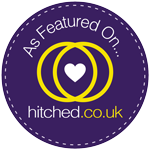 in the comfort of your own home or even meet at your chosen wedding venue. This meeting gives you the chance to view our wedding portfolio, discuss your ideas with us and spend time ensuring that our flowers complement and enhance the theme of your wedding day helping to create the right look and mood for you. Below are just a few of the couples we have supplied wedding flowers for in the past. Please click on any of the photographs below to enlarge.